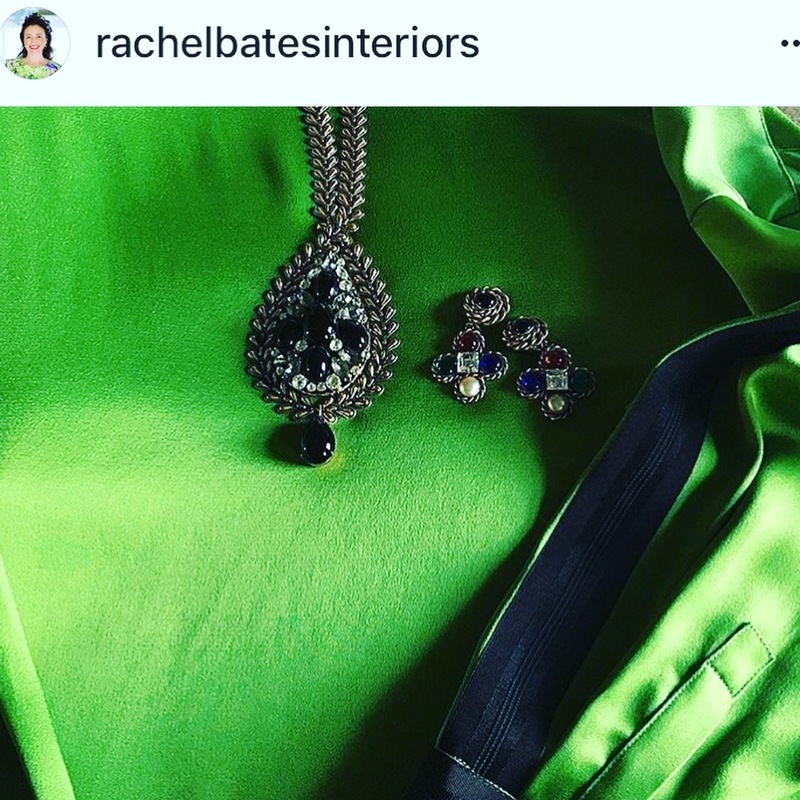 So very grateful to the fabulous & kind Rachel Bates of Rachel Bates Interiors Ltd for choosing to wear her Jennifer Gibson Jewellery vintage pieces in her stunning Sunday Times Home feature. Rachel teamed two of her own pieces from our collection with her gorgeous green silk Amanda Wakeley blouse. The statement style ‘Original by Robert’ 1960s Teardrop Necklace creates that perfect up to date wow factor. It certainly demonstrates Rachel’s eye for style & her creative flair in bringing modern and vintage pieces together, for that one of a kind original look. 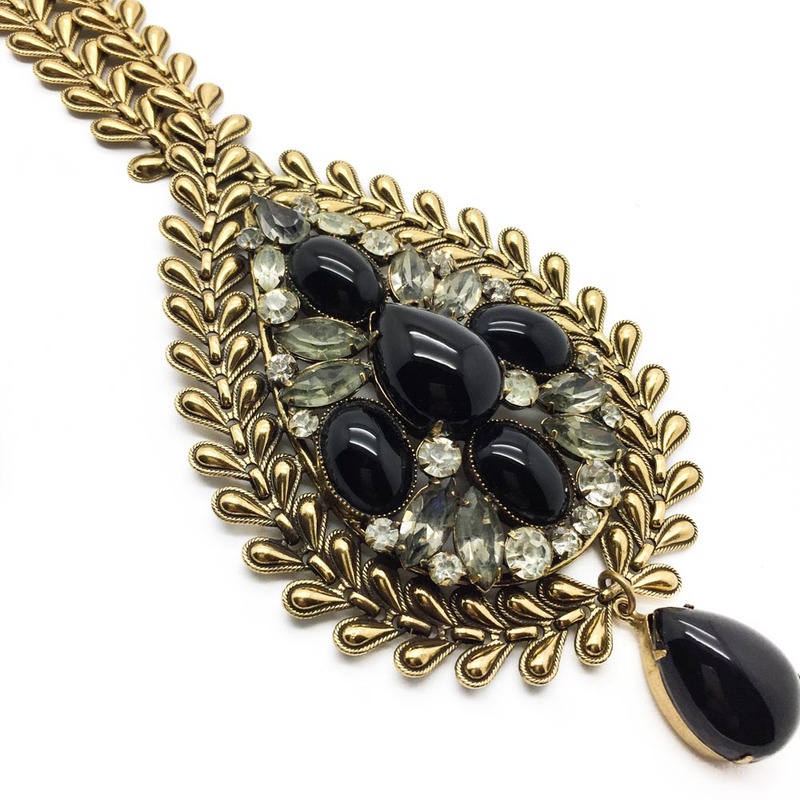 Rachel chose to team her stunning 1960s Robert necklace with one of the best ever pairs of original Byzantine style 1980s Butler & Wilson cross earrings. 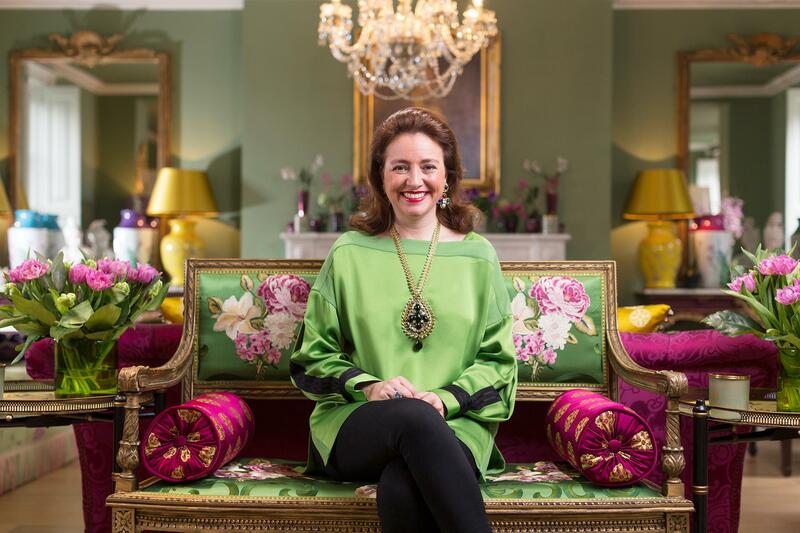 Follow Rachel for a visual feast of beautiful interiors & decorative arts and take a moment to enjoy reading about her unique and talented perspective on creating your interior in this wonderful article in The Times. 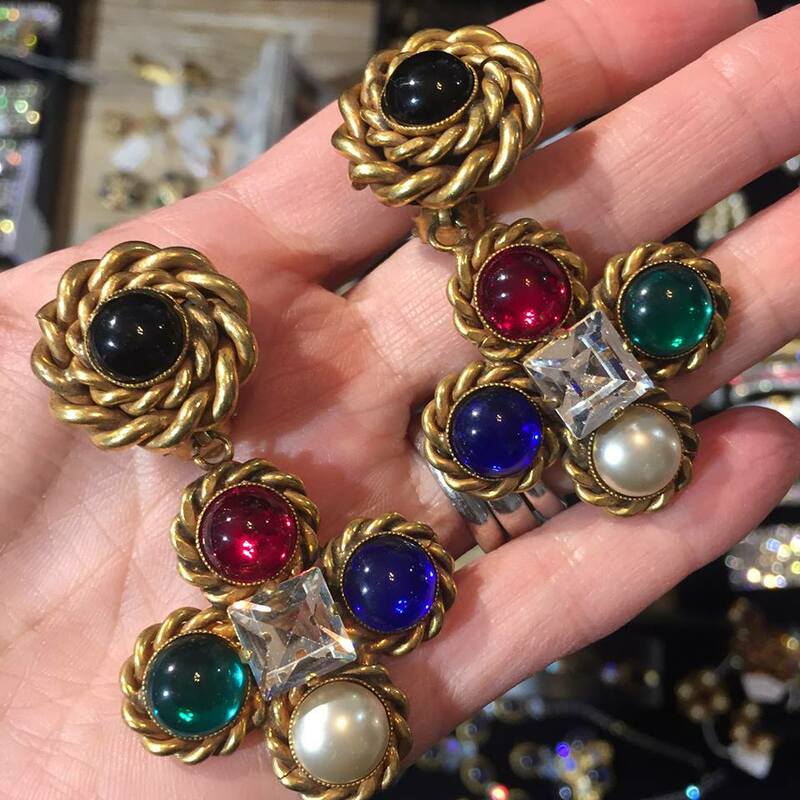 Find your perfect vintage pieces from our collection or contact us if you would like help in finding a particular piece.